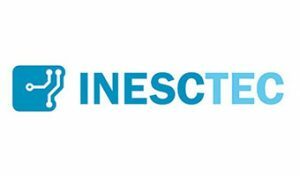 INESC TEC is a private non-profit institution having as associates the University of Porto, INESC and the Polytechnic Institute of Porto. The activity is conducted by 715 researchers, from which 273 hold a PhD degree. Under INESC TEC, 13 Centres are active in research, technology transfer, intellectual property and software licenses management, knowledge valorisation and launching of spin-off companies. Its main areas are Telecommunications and Multi-media, Power Systems, Manufacturing Systems, Industrial Management, Information and Computer Graphics Systems, Optoelectronics and Electronic Systems, Robotics and Intelligent Systems, Artificial Intelligence, Real Time Systems, Computer Science, Critical Software Systems and Innovation, Biomedical. investors in Europe, South America, the United States of America and Africa. solutions in the daily processes of the end-user through improving its scalability and replicability.